Welcome to this new semi-exciting experiment! A headphone review diary. Instead of waiting a few weeks to post my impressions, I am posting them “diary style”. The latest updates go on top, so if you are reading this for the first time, start reading from the bottom (not that there are any spoilers). 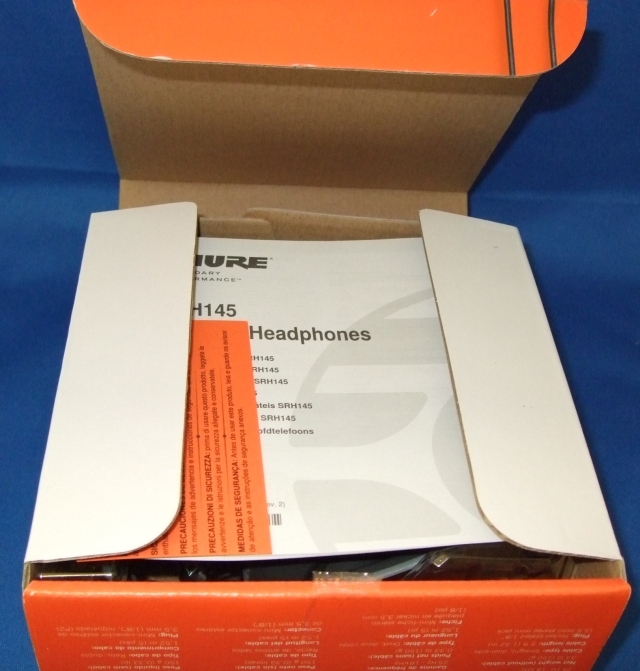 So the subject/victim of our first experiment are the brand new Shure SRH 145 closed-back on-ear headphones. You can find their specs at the bottom of this post in bright orange (that’s the back of their box). While they do not have the benefits of over-ears, they are fairly lightweight and comfortable for a practice or play or improv session, and they are not picky on 1/4″ adapters (they don’t come with one – see unboxing – but they worked with random standard 1/4″ adapters I randomly grabbed). Obviously playing the keyboard is not their intended use, but they are serviceable in this fashion, in other words, you don’t have to buy another pair of headphones (unless you want to or you are a more advanced player/student with a more advanced piano/keyboard). They are certainly an upgrade over the basic $10-ish headphones included with some headphone bundles (the aforementioned Casio was bundled with a Nady pair that fell apart without much use). The increasing popularity of headphones finally melted the studio-hardened hearts of Shure and they are pretty soon releasing *gasp* consumer on-ear headphones! The current shipping estimate at Amazon.com is 2-5 weeks. 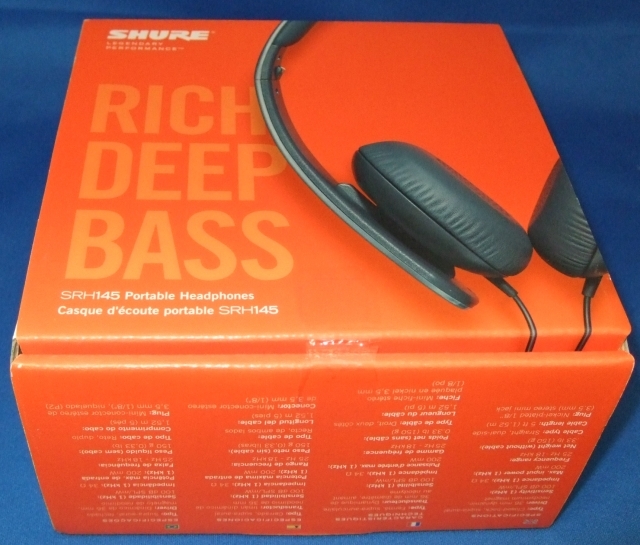 The new consumer line-up starts at $40 with the Semi-Open SRH-144 (folding, non-detachable cables on each side, replaceable ear cushions, 34 ohm impedance, 36mm drivers). Interesting choice to go with semi-open here, given how many consumers at this price-range are not necessarily familiar with the trade-offs of semi-open vs closed (vs open).